how you can access and manage your information. Fuel Card Services Ltd is committed to ensuring that your privacy is protected. Should we ask you to provide certain information by which you can be identified, you can be assured that it will only be used in accordance with this privacy statement. Fuel Card Services Ltd may change this statement from time to time by updating this page. We will make clear whenever any changes are made. This statement is effective from May 2018.
information relevant to specific customer offers and/or surveys which will be explained at the time. monitoring, recording and storing telephone or email communications for the purpose of internal training, to improve the quality of our customer service and in order to meet any legal and regulatory requirements. customising our website according to your interests. periodically sending you promotional mails, emails or SMS messages about new products, special offers or other information which we think you may find interesting using the contact details which you have provided. contact you by phone in relation to the above. Contacting you by email, phone or mail for the purpose of account administration and/or processing and fulfilling orders. If you contact us or we contact you, we may ask for certain information from you to confirm your identity, check our records and deal with your account efficiently and correctly. Where we have asked for your consent to use your personal information for a particular purpose, this consent may be withdrawn by you at any time. Please see the section entitled ‘Controlling your personal information’ below. If a third party processing your data on our behalf is located in a non-EU country that does not have data protection laws equivalent to those in the EU, we will always take appropriate additional steps to ensure that your personal information is kept safe and secure by those processing your data on our behalf. This will generally involve ensuring that such third party agrees to sign up to a formal legal agreement committing such party to comply with standards equivalent to those that would apply where that party to be located within the EU. Sometimes, you might wish to disclose sensitive information to us, we will only use sensitive data for the specific reason you disclosed it to us and we will take extra care to keep it secure. From time to time, we will check with you that we may continue to use that sensitive data for the specified purpose, you may withdraw your consent at any time. The time period for which we keep information varies according to what we use the information for. Unless there is a specific legal requirement for us to keep information, we will keep your information for as long as it is relevant and useful for the purpose for which it was collected. Where we are using your personal information to send you marketing information we will retain it for as long as you have an active account with us and then for 18 months after your account ceases to be active. We understand that you will not buy from us on every occasion but frequently we see repeat purchases from customers in this time period. We will retain your account information for 7 years in line with relevant tax and contract requirements. You are entitled to request that we erase your personal information at any time, for example where you cease to be an active customer of ours. Whilst we will generally seek to comply with your request, there will be circumstances where we are entitled to retain such personal information (e.g. in respect of legal claims). If you wish for us to transfer your personal information to a third party (e.g. another service provider). In this case, we will provide you with certain personal information held by us for you to pass to that third party (or, in certain circumstances, we may be able to transfer that data to such third party directly if you wish for us to do so). where the data is given by another person in confidence. If you want to remove a consent or request erasure or transfer of your personal information, you may do so at any time by writing to us at GDPR Enquiries, Fuel Card Services Ltd, Alexandra House, Lawnswood Business Park, Redvers Close, Leeds, LS16 6QY, emailing us at [email protected] or calling us on 0113 3846264. We will not sell, distribute or lease your personal information to third parties unless we have your permission or are required by law to do so. Where we do seek your permission we will name the relevant third party at the time we seek such permission from you and any such permission shall be limited to that third party. Sometimes we may have to pass information to statutory bodies authorised to obtain data under various legislation, such as the police or tax authority. If you believe that any information we are holding on you is incorrect or incomplete, please write, email or call us as soon as possible, using the details set out above. We will promptly correct any information found to be incorrect. This policy replaces all previous versions and is correct as of May 2018. We reserve the right to change the policy at any time. Purpose: Google Analytics is a web analysis service provided by Google Inc. (“Google”). Google utilizes the Data collected to track and examine the use of this Application, to prepare reports on its activities and share them with other Google services. Purpose: AdWords Remarketing is a remarketing and behavioral targeting service provided by Google Inc. that connects the activity of this Application with the Adwords advertising network and the Doubleclick Cookie. Purpose: Google Analytics on this Application might use Google’s Interest-based advertising, 3rd-party audience data and information from the DoubleClick Cookie to extend analytics with demographics, interests and ads interaction data. Purpose: Google AdWords conversion tracking is an analytics service provided by Google Inc. that connects data from the Google AdWords advertising network with actions performed on this Application. Purpose: Adestra website carries embedded ‘share’ buttons to enable users of the site to easily share articles with their friends through a number of popular social networks. These sites may set a cookie when you are also logged in to their service. Adestra does not control the dissemination of these cookies and you should check the relevant third party website for more information about these. Purpose: This cookie is served when a user clicks on a link in a MessageFocus email, and is used to detect when users perform particular actions via our conversion tracking system. Purpose: Cookies and Usage Data. Art der Informationen, die von FCS Tankkarten Lösungen erhoben werden und warum; Verwendung und Schutz der von Ihnen zur Verfügung gestellten Informationen durch Fuel Card Services; und Zugriff und Verwaltung auf Ihre Daten. 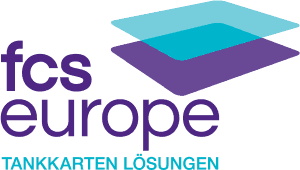 FCS Tankkarten Lösungen GmbH. verpflichtet sich, sicherzustellen, dass Ihre Privatsphäre geschützt wird. Sollten wir Sie bitten, bestimmte Informationen, die Sie identifizieren würden, bereitzustellen,können Sie sicher sein, dass diese Informationen nur gemäß dieser Datenschutzerklärung verwendet werden. FCS Tankkarten Lösungen GmbH. kann diese Erklärung durch Aktualisierung dieser Webseite von Zeit zu Zeit ändern. Wir werden klarstellen, wenn Änderungen vorgenommen werden. Diese Erklärung gilt ab Mai 2018. • Informationen, die für bestimme Kundenangebote und/oder Umfragen relevant sind und zu gegebenem Zeitpunkt erklärt werden. • Überwachen, Aufzeichnen und Speichern von Telefongesprächen oder E-Mail- Kommunikation für interne Schulungen, um die Qualität unseres Kundendienstes zu verbessern und um rechtliche und behördliche Anforderungen zu erfüllen. • Verbesserung unsere Produkte und Dienstleistungen. • Anpassung unserer Webseite gemäß unserer Interessen. • Regelmäßiges Versenden von Briefen, E-Mails oder SMS über neue Produkte, Sonderangebote oder andere Informationen, die für Sie interessant sein könnten, unter Verwendung der von Ihnen zur Verfügung gestellten Kontaktinformationen. • Verwendung der Daten, um Sie zu Marktforschungszwecken zu kontaktieren. • Sie telefonisch in Bezug auf die oben genannten Punkte zu kontaktieren. • Kontaktaufnahme per E-Mail, Telefon oder Post zum Zweck der Kontoverwaltung und/oder Bearbeitung und Erfüllung von Bestellungen. Sollten Sie uns oder wir Sie kontaktieren, können wir nach bestimmten Informationen fragen, um Ihre Identität zu bestätigen, unsere Aufzeichnungen zu prüfen und Ihr Konto effizient und korrekt zu verwalten. Wenn wir um Ihr Einverständnis zur Verwendung Ihrer personenbezoge nen Daten zu einem bestimmten Zweck gebeten haben, können Sie dieses Einverständnis jederzeit widerrufen. Bitte lesen Sie den Abschnitt „Kontrolle über Ihre personenbezogenen Daten“ weiter unten. Die Sicherheit Ihrer Daten ist für uns sehr wichtig. Im Rahmen unserer Verpflichtung, Ihre Daten zu sichern, verwenden unsere technischen Experten physikalische, elektronische und verwaltungstechnische Verfahren, um die Daten, die wir online erheben, zu sichern. Nur autorisierte Angestellte und sorgfältig überprüfte Agenten, Auftragnehmer und Unterauftragnehmer, die für uns bestimme Datenverarbeitungsdienste zur Verfügung stellen, haben Zugriff auf Ihre Daten. Diese Personen dürfen auf Ihre Daten nur für die in der Datenschutzerklärung aufgeführten Zwecke zugreifen und diese für uns oder zu IT-Sicherheits-oder Wartungszwecken verarbeiten. Befindet sich eine Drittpartei, die Ihre Daten für uns verarbeiten in einem Land außerhalb der EU ohne gleichwertige Datenschutzgesetze, werden wir immer geeignete zusät zliche Schritte unternehmen, um sicherzustellen, dass Ihre personenbezogenen Daten sicher sind und durch diese Drittpartei gesichert werden. Dies umfasst üblicherweise, dass diese Drittpartei eine formelle Vereinbarung unterschreibt, die diese Partei dazu verpflichtet, die Standards einzuhalten, die gelten würden, wäre diese Drittpartei in der EU ansässig. Unser Ziel ist, alle unsere Kunden vor Betrug zu schützen. Zu diesem Zweck können wir Ihre Daten nutzen, um Ihre Identität zu prüfen und so Betrug zu e rkennen und zu verhindern. Im Rahmen dieser Prüfungen können Ihre Daten an Kreditauskunfteien weitergegeben werden, die diese Daten speichern könnten. Dies ist keine Kreditauskunft und Ihre Kreditwürdigkeit wird dadurch nicht beeinflusst. Manchmal kann es vorkommen, dass sie uns vertrauliche Informationen weitergeben. Wir verwenden vertrauliche Informationen nur für den spezifischen Zweck, für den Sie diese Daten zur Verfügung stellen, und werden besondere Sorgfalt walten lassen, diese Daten zu sichern. Von Zeit zu Zeit werden wir Sie fragen, ob wir diese vertraulichen Daten weiterhin für den angegebenen Zweck verwenden dürfen. Sie können Ihr Einverständnis jederzeit widerrufen. Der Zeitraum, über den wir Daten speichern, hängt vom Verwendungszweck derselben ab. Soweit es keine gesetzlichen Bestimmungen gibt, nach denen wir die Daten aufbewahren müssen, speichern wir Ihre Daten solange, wie diese für den Zweck, für den diese erhoben wurden, relevant und nützlich sind. Wenn wir Ihre Daten verwenden, um Ihnen Werbung zu schicken, speichern wir Ihre Daten, solange Ihr Konto bei uns aktiv ist, sowie 18 Monate nachdem Ihr Konto nicht mehr aktiv ist. Wir verstehen, dass Sie nicht bei jeder Gelegenheit bei uns Produkte erwerben, wir sehen aber oft wiederkehrende Kunden in diesem Zeitraum. Für Steuerzwecke und vertragstechnische Anforderungen speichern wir Ihre Kontoinformationen 7 Jahre. Sie haben das Recht, jederzeit, z. B. wenn Sie kein aktiver Kunde mehr bei uns sind, das Löschen Ihrer personenbezogenen Daten zu fordern. Wir werden in der Regel versuchen, Ihrer Aufforderung nachzukommen, allerdings sind wir unter bestimmten Umständen berechtigt, solche personenbezogenen Daten weiterhin zu speichern (z. B. in Bezug auf Rechtsansp rüche). • Wenn Sie wünschen, dass wir Ihre personenbezogenen Daten an Dritte weitergeben (z. B. einen anderen Dienstleistungsanbieter). In diesem Fall werden wir Ihnen Ihre personenbezogenen Daten, die bei uns gespeichert sind, übermitteln, sodass Sie diese an Dritte weitergeben können (in bestimmten Fällen können wir Ihre Daten direkt an die Drittpartei übermitteln, falls das von Ihnen gewünscht wird). • Einspruch gegen die Verarbeitung Ihrer Daten. (b) Daten, die von einer anderen Person vertraulich zur Verfügung gestellt wurden. Wenn Sie Ihr Einverständnis widerrufen oder die Löschung oder die Übertragung Ihrer personenbezogenen Daten beantragen möchten, können Sie dies jederzeit schriftlich an GDPR Enquiries, Fuel Card Services Ltd, Alexandra House, Lawnswood Business Park, Redvers Close, Leeds, LS16 6QY, UK, per E-Mail an [email protected] oder telefonisch über +44(0)1133846264 tun. Wir werden Ihre personenbezogenen Daten nicht ohne Ihre Erlaubnis verkaufen, weitergeben oder vermieten, außer wir sind gesetzlich dazu verpflichtet. Wenn wir Ihr Einverständnis einholen, werden wir zu diesem Zeitpunkt den Namen der relevanten Drittpartei nennen und das Einverständnis ist auf diese Drittpartei beschränkt. Manchmal kommt es vor, dass wir Daten an Körperschaften des öffentlichen Rechts weitergeben müssen, die gemäß den verschiedenen Rechtsvorschriften autorisiert sind, diese Daten zu erhalten, z. B. die Polizei oder das Finanzamt. Sollten Sie der Meinung sein, dass Daten, die wir über Sie speichern, nicht richtig oder unvollständig sind, kontaktieren Sie uns bitte so bald wie möglich über die oben angegebenen Kontaktinformationen. Wir werden umgehend alle Daten korrigieren, die sich als falsch herausstellen. Um Ihre Privatsphäre und Sicherheit zu schützen, werden wir angemessene Schritte unternehmen, Ihre Identität zu prüfen, bevor Sie Zugriff erhalten oder Änderungen vornehmen können. Diese Erklärung ersetzt alle früheren Versionen und gilt ab Mai 2018. Wir behalten uns das Recht vor, jederzeit Änderungen vorzunehmen. Cookies sind alphanumerische Identifikatoren, die es dem System erlauben, Ihren Browser zu erkennen, um Ihnen die einfache Nutzung der verschiedenen Dienste auf unserer Webseite zu ermöglichen. Webanwendungen können Sie durch die Verwendung von Cookies als individuelle Person ansprechen. Diese Webanwendungen können sich durch das Speichern Ihrer Präferenzen auf Ihre Anforderungen, Vorlieben und Abneigungen anpassen. Wir verwenden Traffic-Log-Cookies, um zu identifizieren, welche Webseiten genutzt werden. Dies hilft uns dabei, Daten hinsichtlich der Besucherinformationen zu analysieren und unsere Website weiter zu verbessern, um Ihren Bedürfnissen besser Rechnung zu tragen. Wir verwenden diese Daten ausschließlich für statistische Analysen, nach deren Abschluss die Daten aus unserem System gelöscht werden. Im Allgemeinen helfen uns Cookies dabei, Ihnen eine bessere Webseite bieten zu können, indem sie uns ermöglichen zu überwachen, welche Webseiten Sie nützlich finden und welche nicht. Ein Cookie erlaubt uns in keinster Weise Zugriff auf Ihren Computer oder Daten über Sie, mit Ausnahme der Daten, die Sie uns zur Verfügung stellen. Sie können Cookies zulassen oder blockieren. Die meisten Internetbrows er lassen Cookies automatisch zu, Sie können aber die Einstellungen Ihres Browsers ändern, sodass Cookies blockiert werden, sollten Sie dies wünschen. Das könnte aber dazu führen, dass die die Webseite nicht vollständig ausnutzen können. Im Folgenden werden die von uns verwendeten Cookies beschrieben. Zweck: Google Analytics ist ein Webanalysedienst von Google Inc. („Google“). Google nutzt die erhobenen Daten, um die Nutzung der Anwendung nachzuverfolgen und zu prüfen, um Aktivitätsberichte zu erstellen und diese mit anderen Google-Diensten zu teilen. Google kann die erhobenen Daten nutzen, um Werbung des Google-eigenen Werbenetzwerkes zu kontextualisieren und zu personalisieren. Zweck: AdWords Remarketing ist ein Remarketing-und Behavioural-Targeting-Dienst von Google Inc., der die über diese Anwendung stattfindende Aktivität mit dem Adwords-Werbenetzwerk und dem Doubleclick-Cookie verbindet. Zweck: Mittels der Erweiterung für Display-Werbung für Google Analytics kann diese Anwendung auf Besucherdaten von Drittanbietern und Informationen des DoubleClick-Cookies zugreifen und Daten verwenden, die über interessenbezogene Werbung von Google erlangt wurden. Zweck: Conversion-Tracking von AdWords ist ein Analysedienst von Google Inc., der die Daten vom Google AdWords-Werbenetzwerk mit durch diese Anwendung getätigten Aktionen verbindet. Zweck: Google Tag Manager ist ein Analysedienst von Google Inc.
Zweck: Die Adestra-Webseite enthält eingebettete „Share“-Schaltflächen, um den Nutzern der Webseite das einfache Teilen von Artikeln mit Freunden über eine Anzahl beliebter sozialer Netzwerke zu ermöglichen. Diese Webseiten können Cookies speichern, wenn Sie bei deren Dienst angemeldet sind. Adestra hat keine Kontrolle über die Verbreitung dieser Cookies und Sie sollten die Webseite der relevanten Drittpartei auf weitere Informationen prüfen. Zweck: Dieser Cookie wird gespeichert, wenn ein Nutzer auf einen Link in einer MessageFocus-E-Mail klickt, und wird genutzt, um zu erkennen, wenn Nutzer bestimmte Aktivitäten über unser Conversion-Tracking-System durchführen. • comment vous pouvez accéder et gérer vos informations.Fuel Card Services Ltd s’engage à veiller à ce que votre vie privée soit protégée. Si nous vous demandons de nous fournir certaines informations permettant de vous identifier, vous pouvez être sûrs qu’elles ne seront exploitées que conformément à cette politique de confidentialité. Fuel Card Services Ltd est à même de modifier cette déclaration de temps en temps en mettant à jour cette page. Nous vous informerons dès que des changements seront opérés. Cette déclaration prend effet à partir du mois de mai 2018. • seront détaillées à ce moment-là. Que faisons-nous des informations que nous collectons? • Le suivi, l’enregistrement, et la conservation du numéro de téléphone et des adresses emails, dans le cadre de formations internes, pour améliorer la qualité de notre service à la clientèle, ou encore, pour répondre à toute demande des autorités. • Améliorer nos produits et nos services. • Personnaliser notre site Web selon vos préférences. • Vous envoyez périodiquement des emails promotionnels, des messages email ou des SMS sur les nouveaux produits, des offres spéciales ou autres informations pouvant vous intéresser en utilisant les informations de contact que vous nous avez fournies. Vous contacter par téléphone concernant ces études. • La prise de contact par email, téléphone, ou courrier dans le cadre de l’administration de votre compte et/ou le traitement, et la finalisation des commandes. Si vous nous contactez ou que nous vous contactons, nous vous demanderons peut-être de nous confirmer certaines informations relatives à votre identité, pour vérifier nos dossiers et nous occuper de votre compte efficacement et correctement. Si vous nous avez donné votre consentement afin que nous utilisions vos informations personnelles dans un cadre particulier, sachez qu’à tout moment vous pouvez annuler cette autorisation. Veuillez lire la section ci-dessous, intitulée « Contrôler vos informations personnelles ». La sécurité de vos informations est très importante pour nous. Dans le cadre de notre engagement à maintenir vos données en sécurité, nos experts techniques mettent en place des procédures physiques, électroniques, et managériales pour stocker et sécuriser les informations que nous recueillons en ligne. Seuls les employés autorisés, les agents, les travailleurs indépendants, et les sous-traitants, qui nous fournissent un service de traitement des données particulier sont autorisés à accéder à vos données. Ces personnes ne seront autorisées à accéder à vos données que pour les motifs identifiés dans cette Politique de confidentialité, à les traiter en votre nom ou pour la sécurité et la maintenance des techniques de l’information et de la communication. Si une tierce partie située dans un pays hors de l’UE traite vos données en notre nom, et ne répond pas à des critères de protection des données identiques à ceux de l’UE, nous prendrons les mesures complémentaires qui s’imposent pour que vos informations personnelles soient maintenues en sécurité par ces entités. En général, il s’agit de faire signer audit tiers un accord juridique formel par lequel il s’engage à respecter les normes équivalentes à celles qui s’appliqueraient dans le pays de l’UE de la partie concernée. Nous voulons protéger tous nos clients de la fraude. Dans cet objectif, nous pourrions utiliser vos informations personnelles pour vérifier votre identité afin de prévenir ou de détecter une fraude. Ces vérifications pourraient impliquer la communication de vos informations à des agences de renseignements commerciaux, qui pourraient garder une trace desdites informations. Il ne s’agit pas de vérifier votre solvabilité, et votre notation financière ne sera pas affectée. Parfois, vous pourriez être à même de nous divulguer des informations sensibles que nous n’utiliserions que dans le cadre du motif spécifique pour lequel vous nous les avez divulguées et prendrions les mesures complémentaires, le cas échéant, pour les protéger. De temps en temps, nous vérifierons auprès de vous que vous acceptez que nous continuions à utiliser ces données sensibles pour le motif spécifié, et que vous puissiez revenir sur votre consentement si vous le souhaitez. La durée de conservation de vos informations varie en fonction de l’utilisation que nous en faisons. À moins qu’il n’existe une contrainte juridique spécifique, nous garderons vos données tout le temps nécessaire à servir la cause pour laquelle elles ont été collectées. Si nous utilisons vos informations pour vous adresser des informations de marketing, nous les garderons BOLD tout le temps que votre compte sera actif, et 18 mois après la fermeture de votre compte. /BOLD Nous savons que vous n’achèterez plus régulièrement chez nous, mais nous avons observé que fréquemment les clients commandaient encore durant ce laps de temps. Nous conserverons vos informations de compte pendant 7 ans, conformément aux exigences fiscales et contractuelles qui s’appliquent. Vous avez le droit de nous demander d’effacer vos informations personnelles n’importe quand, par exemple, si vous cessez d’être l’un de nos clients. Même si nous cherchons généralement à satisfaire votre demande, il existe des circonstances pour lesquelles nous avons le droit de conserver vos informations personnelles (par exemple, dans le cas de réclamations juridiques). • Lorsqu’on vous demande de remplir un formulaire en ligne ou ailleurs (assurez-vous de ne pas cocher de case qui nous permette d’utiliser vos informations personnelles, si vous ne souhaitez pas que ce soit le cas). • Si vous nous avez donné l’autorisation d’utiliser vos informations personnelles pour des motifs spécifiques et que vous avez changé d’avis. • Si vous souhaitez que nous transférions vos informations personnelles à une tierce partie (par exemple, un autre fournisseur de service). Dans ce cas, nous vous fournirons certaines informations personnelles que nous détenons afin que vous les transmettiez à des tiers (ou, dans certains circonstances, nous pourrions transmettre ces données directement à de telles parties si vous souhaitez que nous le fassions. • s’opposer au traitement de vos informations. (b) lorsque les données sont transmises par une autre personne de façon confidentielle. Si vous souhaitez annuler votre consentement ou demander la suppression ou le transfert de vos informations personnelles, vous pouvez le faire à tout moment par écrit à GDPR Enquiries, Fuel Card Services Ltd, Alexandra House, Lawnswood Business Park, Redvers Close, Leeds, LS166QY, en nous adressant un email à [email protected], ou en nous téléphonant au 0113 3846264. Nous ne vendrons, ni distribuerons, ni louerons vos informations personnelles à des tiers à moins que nous ayons votre autorisation ou que la loi nous l’impose. Lorsque nous sollicitons votre autorisation, nous désignons la tierce partie adéquate au moment où nous vous demandons une telle autorisation, et cette autorisation sera limitée au tiers désigné. Parfois, nous pouvons transmettre des informations à des autorités réglementaires, comme la police ou le fisc, pour obtenir des données soumises à différentes lois. Si vous pensez que les informations que nous détenons vous concernant sont incorrectes ou incomplètes, veuillez nous écrire, nous adresser un email ou nous appeler aussitôt que possible, aux coordonnées mentionnés ci-dessus. Nous corrigerons de telles informations incorrectes rapidement. Afin de protéger votre vie privée et votre sécurité, nous prendrons les mesures qui s’imposent pour vérifier votre identité, avant d’en accorder l’accès ou d’effectuer des corrections. Cette politique remplace toutes les versions précédentes et prend effet en mai 2018. Nous nous réservons le droit de modifier cette politique à tout moment. Les cookies sont des identifiants alphanumériques qui permettent à nos systèmes de reconnaître votre navigateur afin de vous permettre d’utiliser facilement les différents services disponibles sur le site Web. Les cookies permettent aux applications web de vous répondre de manière individuelle. L’application web peut adapter ses opérations à vos besoins, à ce que vous aimez et n’aimez pas, en recueillant et en gardant en mémoire des informations sur vos préférences. Nous utilisons des cookies de journalisation du trafic pour identifier les pages qui ont été utilisées. Ceci nous aide à analyser des données sur le trafic de la page web et à améliorer notre site web afin de le personnaliser aux besoins du client. Nous utilisons ces informations seulement pour l’analyse des statistiques et puis les données sont retirées du système. Avant tout, les cookies nous aident à vous fournir un site web, du fait que vous pouvez gérer les pages que vous préférez. Un cookie, ne nous donne en aucun cas accès à votre ordinateur ou à toute information vous concernant, ni aux données que vous avez décidé de partager avec nous. Vous pouvez accepter ou refuser les cookies. La plupart des navigateurs acceptent automatiquement les cookies, mais en général, vous pouvez modifier les paramètres de votre navigateur. Cependant, ceci peut empêcher d’exploiter entièrement le site web. Les paragraphes ci-dessous expliquent quels sont les cookies que nous utilisons et pourquoi. Objet: Google Analytics, est un service d’analyse du web fourni par Google Inc. Google analyse les données collectées pour suivre et examiner l’utilisation de cette application, pour préparer des rapports d’activités et les partager avec d’autres services de Google. Google peut utiliser les données collectées pour contextualiser et personnaliser les publicités de son propre réseau de publicité. Objet: Le remarketing AdWords est un service de remarketing et de ciblage du comportement fourni par Google Inc. qui relie l’activité de cette application au réseau de publicité AdWords et au cookie doubleclick. Objet: Avec cette application, Google Analytics pourrait utiliser la publicité basée sur vos préférences de Google, les données de tierces parties, et le cookie doubleclick pour étendre l’analyse aux données démographiques et aux données de préférence et de publicité interactive. Objet: Le suivi des conversions AdWords est un service d’analyse fourni par Google Inc. qui relie les données du réseau publicitaire de Google AdWords aux actions réalisées sur cette application. Objet: Le gestionnaire des balises de Google est un service d’analyse fourni par Google Inc.
Objet: Le site web Adestra intègre des boutons de partage afin de permettre aux utilisateurs d’un site de partager facilement des articles avec leurs amis dans plusieurs réseaux sociaux populaires. Ces sites peuvent aussi émettre un cookie lorsque vous êtes connectés à l’un de leur service. Adestra ne contrôle pas la propagation de ces cookies, et il vous incombe de consulter le site web tiers pour obtenir plus d’informations sur leur gestion des cookies. Objet: Ce cookie est utilisé lorsqu’un utilisateur clique sur un lien contenu dans un email de la messagerie MessageFocus, et il est utilisé pour détecter les actions particulières des utilisateurs, via notre système de suivi des conversions. Pour en savoir plus sur les cookies, veuillez visiter www.aboutcookies.org.